8-8-08 is a recognized special day on the Chinese century calendar, celebrated here in Honolulu by closing off parts of Hotel Street, downtown, and organizing “Chinatown Getdown.” Bands, food, arts and crafts, lion dancers, open art and restaurant locations, big screen TV for viewing the opening of Summer Olympics. This on the heels of a R&R visit by democratic presidential hopeful, Barack Obama and family, coming “home” to recharge for a week. 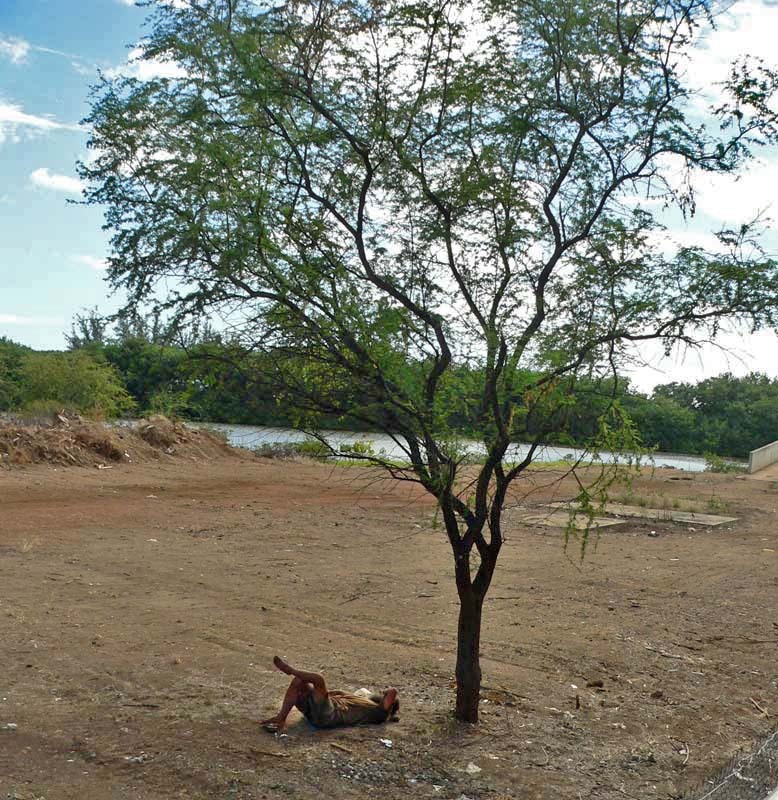 “Homeless” is a shot from the Nimitz viaduct—biking to Obama rally at Kiehi Lagoon—a man doesn’t leave his home despite all the underbrush being cleared by the state to discourage shelters. 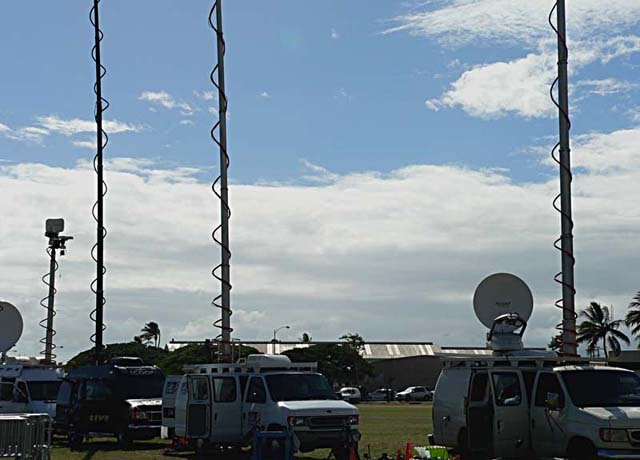 “Press Wuz Here” at the public Obama rally, Kiehi Lagoon, afternoon of August 8, 2008. “Au” Young lion dancers in training with Au’s Shaolin Arts. These gals are small enough to make up the tail end of the lion. 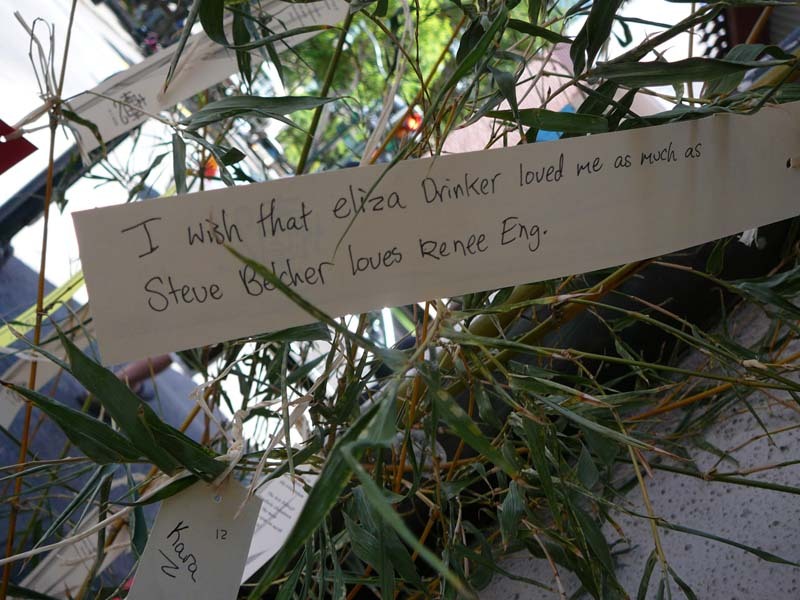 “Make A Wish” is a Chinese tradition whereby celebratees write their fondest wish on a paper ribbon, place it on a bamboo branch with all the others, to be taken the next Sunday to Jisso Temple in Kaneohe to be burned to the gods who accept fervent wishes. 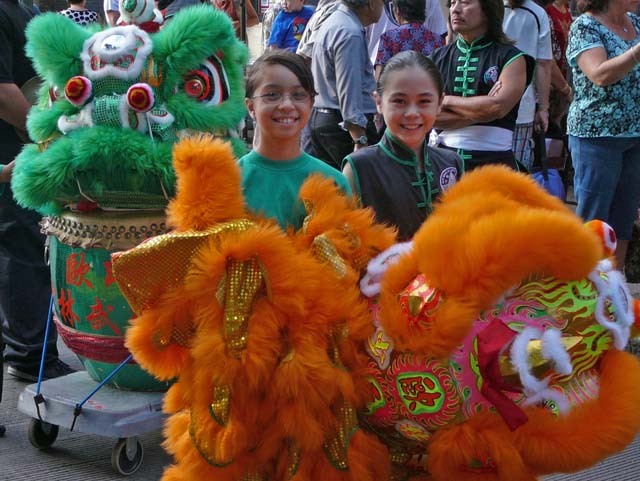 This entry was posted in Uncategorized and tagged 8-8-08, chinatown, events, hawaii, honolulu, lion dance, obama. Bookmark the permalink.